Social media networks like Twitter and Facebook are crucial during times of crises such as the anti-government demonstrations in Ukraine. 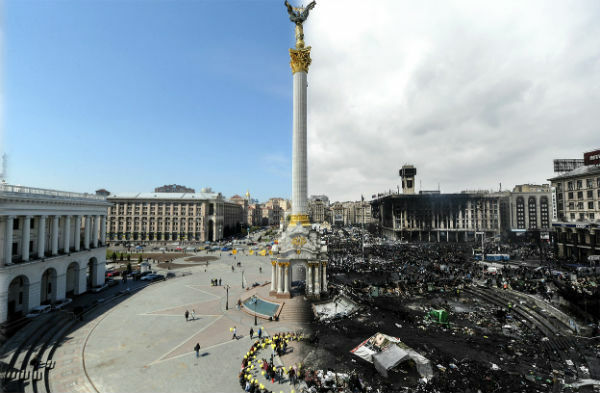 *The above image by Sergei Supinsky depicts the demonstrations in Ukraine, before and after from left to right. In March 2012, a Ukranian woman, Oksana Makar, was gang raped, burned alive and left for dead. Initially, her attackers were freed by the influential powers-that-be, but soon afterwards two chilling videos were uploaded to YouTube and her attackers were re-arrested and sentenced to prison. 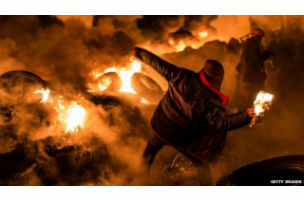 …there has been an unending stream of photos, videos and texts flowing from Ukraine and from supporters of the movement outside that country through Twitter, Facebook, YouTube and Instagram — including some heart-wrenching messages such as the one from a young medical volunteer at the EuroMaidan demonstrations who tweeted after being shot and said she was afraid she was going to die (the last report I saw said she had survived). Video footage has emerged apparently showing snipers firing on demonstrators who had been trying to retake their protest camp in Independence Square, according the the BBC. Ukrainian authorities have started sending text messages to activists letting them know they are being watched. The following Storify captures some of what’s been happening by way of social media.